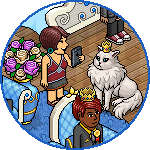 Elegant is a range of furniture that has only been released in the Elegant Bundle. It was available in Builders Club for a period of time but has now been removed. 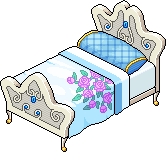 It is similar to the Princess furniture that was released later in the Princess Bundle and is a purple recolour of the Elegant furniture. In the same month that the bundle was released, a new rare was made available. This page was last edited on 17 December 2018, at 23:30.